This book contributes to the transformative and revolutionary use of small, unmanned vehicle systems for three-dimensional geospatial data acquisition and mapping, which is considered to be a paradigm shift in the science and technology of geomatics. 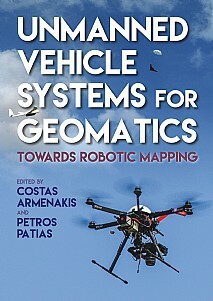 The book presents a systematic and comprehensive approach for the use of small mobile unmanned systems for robotic geomatics research and applications. Emphasis is placed on aerial unmanned mapping systems as aerial data collection provides better perspective and coverage of an area, and offers the ability for targeted coverage. After considering background information on current systems and technologies, the book presents photogrammetric fundamentals and advanced methodologies, addresses both platform and control segments, discusses sensors, communication, and payload aspects, emphasises automatic aspects of sensor localization and exploration and mapping of the environment It offers several application cases, from monitoring changes in arctic regions to precision agriculture and archaeology, presents challenges and emerging technologies and discusses the market trends and the roadmap ahead. This will be a vital handbook and reference for anyone working in geomatics and aerial imagery including photogrammetry, surveying, and remote sensing. It will also be a useful reference for scientists and engineers in related disciplines where the use of unmanned vehicle systems is becoming ever more common.